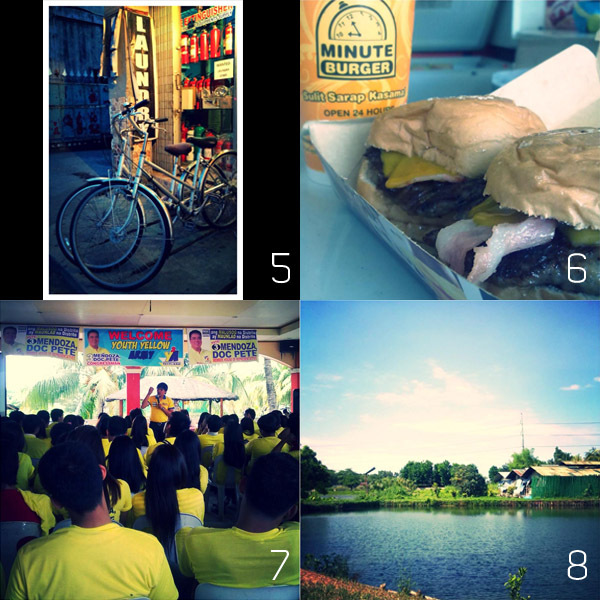 Sights from Manila and Bulacan! As mentioned previously, I went to Bulacan to help out with my Tito’s campaign. I’m not usually in the province so I took a lot of photos. Unfortunately I was having uploading problems with Molome while I was there. 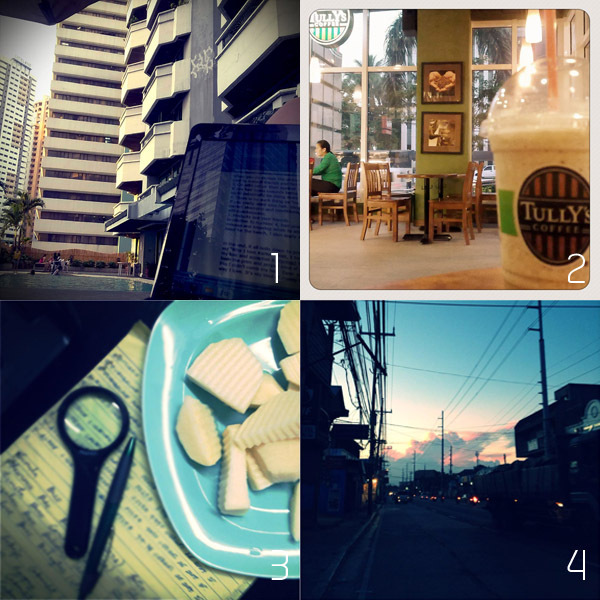 Most of the photos here weren’t uploaded to my Molome account but they were uploaded to my Facebook account instead. (1) I was having difficulty writing so I changed my “office” for the afternoon and it worked. The new scenery was the boost I needed. (2) Berenice and I are starting to love Tullys. It’s been our constant date place. (3) Bulacan Chronicles: Singkamas for merienda at the campaign headquarters. (4) Bulacan Chronicles: I don’t know the geographical or ecological answer but Bulacan has awesome sunsets! I looked forward to this every day when I was there. (5) Bulacan Chronicles: A vintage looking bike in front of a store selling fire extinguishers and does laundry. How random is that??? (6) Bulacan Chronicles: Oh Minute Burger, I’ve missed you so. It was my personal mission to have this since they don’t have a branch near me in Manila. (7) Bulacan Chronicles: This event was for the youth volunteers of the campaign. Here, they get to know the background of my Tito, his platform and why he wants to serve the 2nd District of Bulacan. 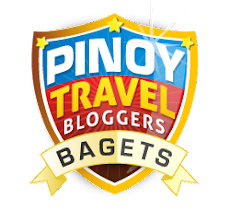 (8) Bulacan Chronicles: Oh the province life! This was at the back of the event venue. 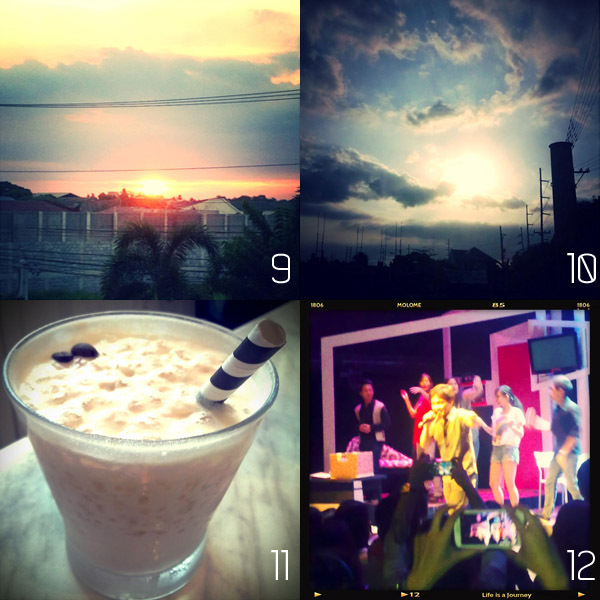 (9) and (10) Bulacan Chronicles: Another set of wonderful sunsets in Bulacan. (11) Now back in Manila, Mj and I have a quick brunch at fave da.u.de. Happy Hour at 11 AM? Why yes! (12) It was a theater filled weekend as we had The Fully Monty on the 27th and watched this – “Sa Wakas” on the 28th. It was the last night of the play and Sugarfree front man Ebe Dancel performed one song for the sold out crowd. 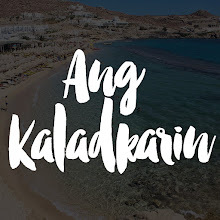 “Sa Wakas” will have another run next year and you should watch. In a span of 2 hours, I relived some fantastic and painful memories because of the play. That was a pretty packed April! Don’t forget to follow me on Molome.